The battery bay is generously sized to fit a 6s battery from 4000mAh to 6000mAh in size. We recommend a 4000mAh 60c or 5000mAh 50c for optimal performance. The battery bay was also designed to accommodate an optional Freewing Gyro E51, sold separately, to further supplement the stable flying characteristics of the Freewing MiG-21. Execute the thrill of a 40 degree slow pass with ease! 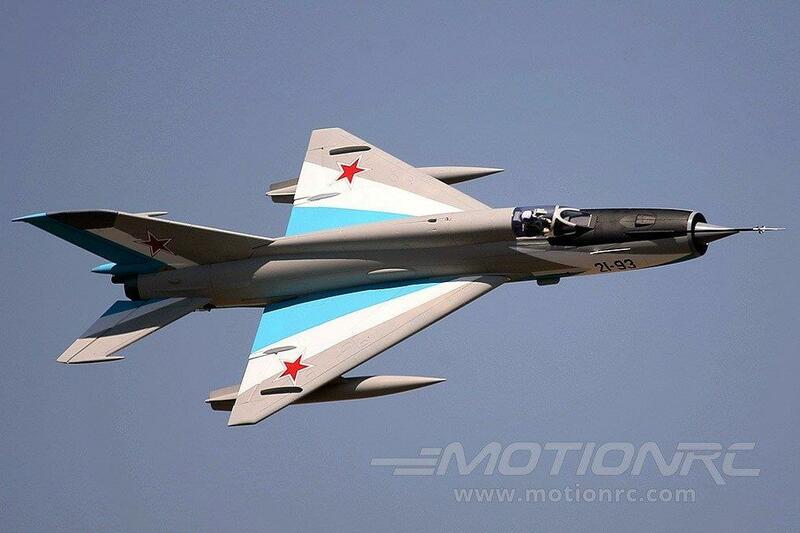 Freewing presents its MiG-21 in two color schemes. The classic “Soviet Silver” scheme includes decals from four countries inside the box to allow pilots to customize their model aircraft.